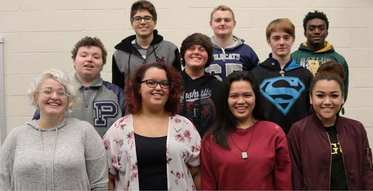 Students in the Paris High choir program have established a rich history of superior performance at regional, area, and state competitions. The PHS choir department is under the direction of Jan Blize, assisted by Dottie Billman, Melody Logan (Paris Junior High) and Tamla Hanson (Crockett Intermediate School). Paris High has three performance choirs: Girls Varsity, Mixed Choir, and Chorale. Students practice and compete for chairs in All-Region, All-Area, and All-State choirs, prepare individual and group selections in UIL Solo & Ensemble, and aim for top ratings in UIL Concert & Sightreading contests. Chorale Dessert Theater in the PHS Commons (ticket required).